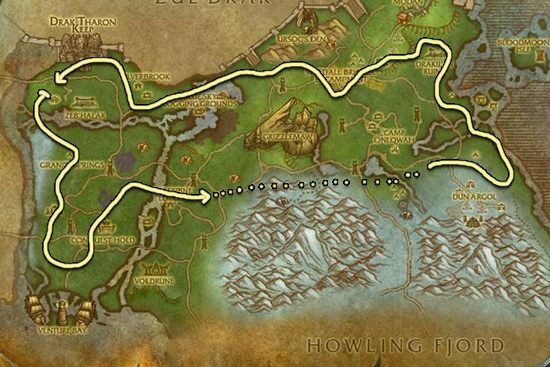 This Northrend Herbalism leveling guide will show you the fastest way how to level your Northrend Herbalism skill up from 1 to 75. 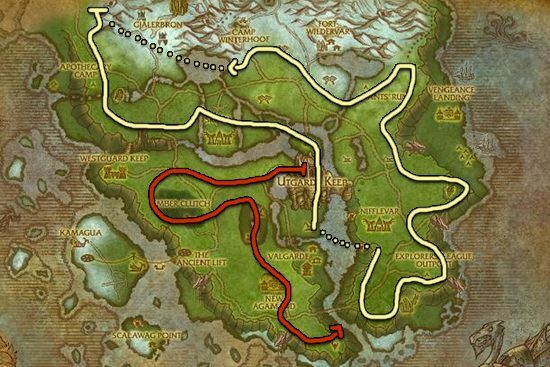 I just usually follow the yellow route because it's large enough to allow the herbs to respawn at the start, but I included an alternative route marked with red for those who would prefer to farm the whole zone. 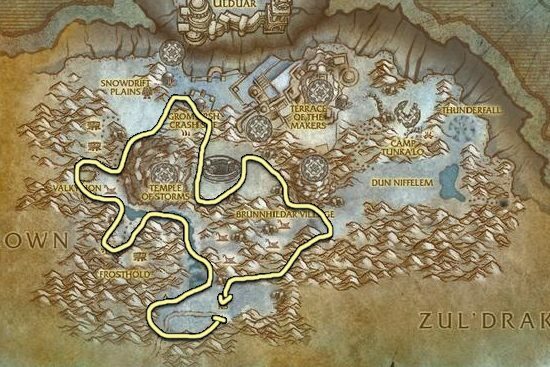 The route is easy to follow and the herbs will respawn by the time you do a full lap.